Clearly, the Greeks are a source of much that we esteem in our own culture: democracy, philosophy, tragedy, epic and lyric poetry, history-writing, our aesthetic sensibilities, ideals of athletic competition, and more. But what is it about Hellenic culture that has made generations of influential scholars and writers view it as the essential starting point for understanding the art and reflection that define the West? This series of 24 lectures by an accomplished Greek scholar and teacher traces the complex web of links between the present and its Mediterranean origins, taking you from the Late Bronze Age up to the time of Philip II of Macedon and his son Alexander the Great. It's an intellectual journey that lets you see ancient Greek civilization in the light shed by the newest and best research and criticism, expanding your understanding of history, literature, art, philosophy, religion, and more. 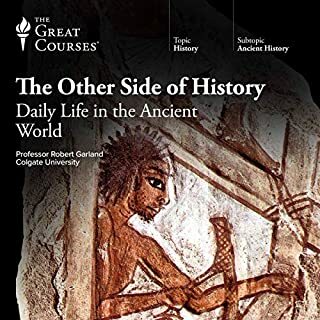 With a special focus on the two crucial centuries from 600-400 B.C.-the era of the Persian and Peloponnesian wars and of classical Athens as described in the histories of Herodotus and Thucydides and the philosophic dialogues of Plato-you'll come to understand how the uniquely "Greek" identity was forged, and how it gave root to so much of what we consider vital about our own present day. Just as important, you'll learn how the differences between our own modern values and beliefs and those of the Hellenic world-including slavery and the exclusion of women from public life-do not imply a lack of relevance to our own times but can instead teach us as just much as our affinities. 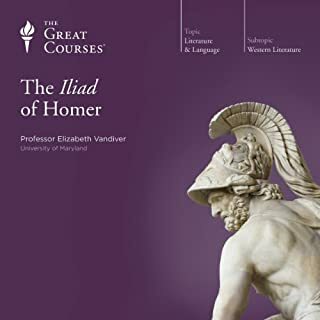 The professor who does this series is brilliant and those who have some familiarity with ancient Greek civilization will enjoy the insights and interpretations he offers. I highlighted the fact that the author does A LOT of interpreting in this series. Because of this, while he does cover all of ancient Greek civilization from its origins in Minoan and Mycenean civilizations to its radical change in Alexander the Great, he is not as comprehensive as I would have liked and leaves some gaps and much material untouched. Those of you who are looking for a good, first, general overview of ancient Greek civilization should look elsewhere. However, if you've already had your overview and would like to hear the perspective of a well established scholar on the ancient Greeks, then this book will be right for you. 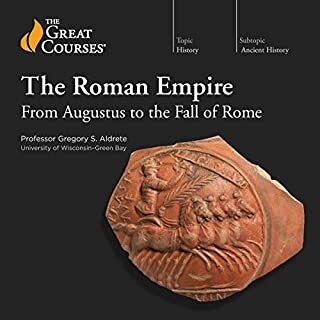 I recently listened to the History of Ancient Rome by Garett Fagan and was blown away. He did a fantastic job of telling the story from start to finish, level setting for those who are new to the topics and left you filled feeling quite knowledgable. Therefore, I was expecting something similar from Ancient Greek Civilization but that was not the case. This speaker seemed to assume you had more background to begin with, bounced around a lot more and was more interested in discussing interpretations than walking you through the basic story. I think I would've enjoyed this more if I had first took a course on Ancient Greek history and listened to this afterwards. It felt more like a conversation you would have after taking such a course. I'll make this quick. The course covers Greek civilization from roughly 1100 or so BC until the conquering of Greece and Persian by Alexander the Great. The only downside to this course is the professor adds a great amount of fluff and repetition. 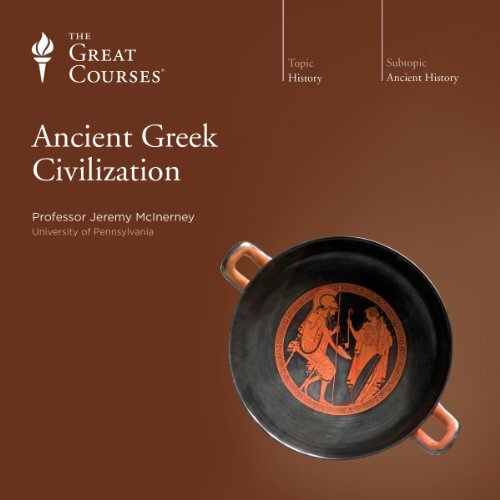 I liked certain parts, but wish I would have downloaded the other great courses lectures on Greek Civilization. We all know a little about Greek mythology, but most of us don't really know the chronology of Greek history. This course helps set that straight in very interesting, easy to digest lectures. I liked everything about this course -- the pacing was good, I learned a great deal, the lecturer was enjoyable to listen to. I found myself looking forward to each time I could find time to listen. To respond to some of the other reviewers, I thought it was pitched at a good level. Although he assumes some knowledge, it seemed reasonable (like knowing the Theseus story or who Schliemann was). For me, it was a similar experience to Fagan's Ancient Rome. Because it is an overview, it didn't go into as much depth as some of the courses I see that are available. He did leave time for interpretation but often it was needed, like discussing the different schools of thought about Crete and Mycenae. 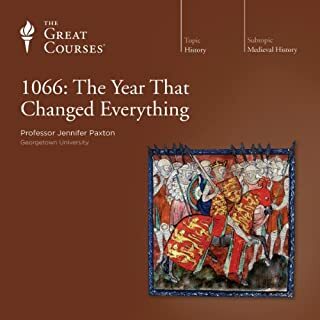 To me, this was one of the history courses that I could see a highschooler using for homeschooling or someone with little history knowledge being able to enjoy a great deal. But I also enjoyed it as someone who listens to a lot of history. I'm a scientist, and thus I have not had an education in ancient history but respect the Greeks for all that they brought to modern civilization. I was hoping for a much more informative review of Greek civilization. This lecture may be if interest to someone with full knowledge of Greek history, but if you don't have that background, this lecture series is not very interesting. I'm obsessed with Greek culture and, no matter how much you know about it, this lecture series will interest you. Some of the negative reviews say that there is too much interpretation going on but I don't think that's exactly fair. For instance, so little is known about Minoan Greece that it is necessary to form interpretations. Although, my favorite lecturer on Greek culture is Elizabeth Vandiver. Try her lectures after this one - they are even better. What did you love best about Ancient Greek Civilization? This survey of ancient Greek history is a comprehensive but compact review of this key civilization. With the typical back and forth between narrative and topical content, I was brought back to my undergraduate courses in this topic. This course compares most favorably with the lectures I recall from years ago. If you want to know the key events of Ancient Greece -- this is the course for you. From Marathon to the Peloponnesian war, from Pericles to Socrates, to the strange case of the Spartans, this has it all. 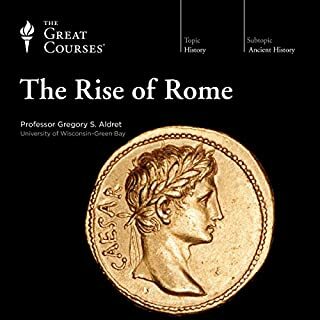 this was a great series but it was way too brief it skipped over for the formation of the great houses such as Sparta and Athens and runs through its history extremely briefly and ends with Alexander the great. the series on Rome was way better w,4 canay more in depth. 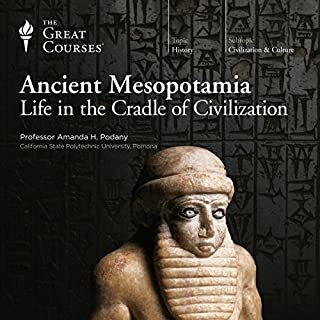 Professor McInerney provides a solid over of Ancient Greece, beginning with Bronze Age Minoan and Mycenaean, passing through the Dark Ages (Sea People, Epic Poetry), into the Golden Age of the 5th century, the Persian Wars and Peloponnesian War, and ending with the hegemony of Macedon. I've come back to this title several times, and have caught new tidbits each time. Non fiction subjects can be brought to life by an engaging teacher and Dr McInerney has a great style. he gives us the facts, the understanding and a few of his own theories with a healthy slice of context. He tempers the romance of the Greeks with real evidence but doesn't allow them to lose their mystery. This is a good addition to these great value lecture series'. Whilst this course is organised chronologically its thrust is not really to provide a comprehensive history of Archaic and Classical Greece; those expecting the same should look elsewhere. Instead, there numerous reasonably detailed forays into topics of interest to the lecturer from which, whilst I am reasonably well read on Ancient Greece, I learnt genuinely new things. It is briskly presented with lots of content; no need for the usual 1.25x or 1.5x speed that I listen to The Great Course at.